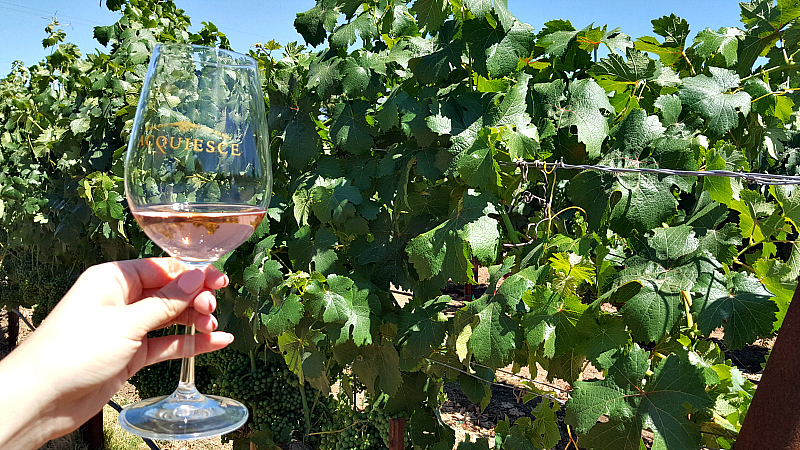 The Lodi wine growing region is known for its red wine, but you’ll find something different at Acquiesce Winery. They specialize in white wine and rose and they do it well! 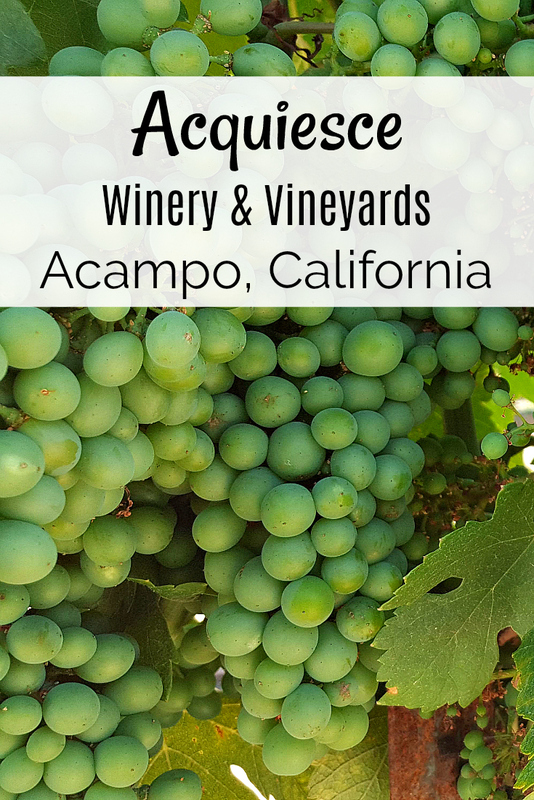 Acquiesce is a small winery and they add their personal touch to every step of the wine making process. 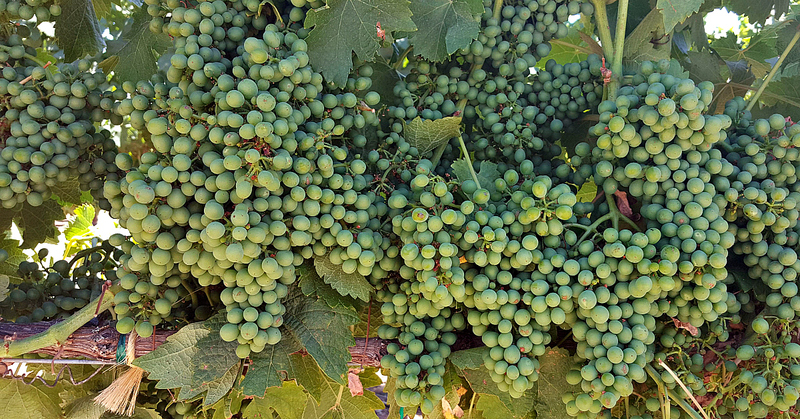 Grapes are handpicked and wine is made using whole cluster pressing. Harvest is in August and all of the wine is in bottles by January. Production is limited, since they have just 18 acres planted. Therefore, you’ll need to get your wine before they run out each year. 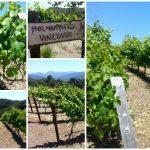 Wine can be ordered online and through their wine club or you can purchase yours at the Acquiesce Winery tasting room. It can’t be purchased in stores, since there isn’t enough of it to go around. 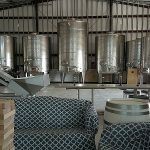 The tasting room is in a 100 year old barn that has been lovingly brought back to life, so that it has a home like atmosphere. 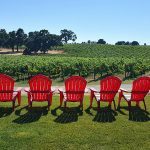 There is seating indoors and, also, on an outdoor patio with vineyard views. Of course, the friendly and knowledgeable staff add to the overall enjoyable experience. My overall favorite was the 2017 Viognier and I enjoyed its aroma and taste. I had it paired with Manchego cheese, but it would be lovely all by itself. Also, I liked the 2017 Grenache Blanc with goat cheese and it would do well with other bold flavored food. 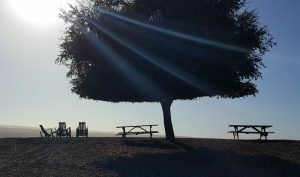 It was nice to surrender to the moment, become quiet and appreciate the wine and beautiful surroundings. The winery is small enough that your experience will feel personal. Make sure you stop by, when you're in the Lodi area! Also, check out my other Lodi articles and take advantage of these great deals on Lodi hotels.